Eastern DataComm has provided technology solutions to dozens of schools and libraries throughout the NY-NJ metropolitan area, ranging from individual school buildings to large, multi-site campuses. Our NJ school safety solutions are designed and implemented with one purpose: to keep students safe and enable teachers and staff to communicate quickly and clearly. We make it easy for you to communicate with all the schools in your district and bus drivers at once about weather-related emergencies, lock downs, school closings and other important announcements. 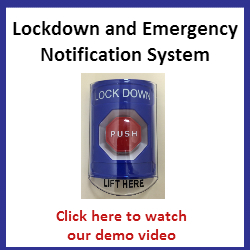 Our intercom systems help you find students quickly, handle emergency notifications efficiently, control bells easily, and above all, keep your students safe. Eastern DataComm has been working with the education community for years, providing effective solutions that are delivered on time and within budget. This has given us enormous insight in to the challenges schools and libraries face when trying to keep up with the face-paced world of technology. In fact, over half the seminars we host and the trade shows we exhibit at are focused on the educational industry. We’ve built a reputation for delivering the results you need to achieve the outcomes you desire. A big challenge for many schools and libraries is the need to stay current with technology with very limited resources and budget. Understanding this, our solutions are “best-in-class,” providing the enterprise level features and functionality from products that have the lowest Total Cost of Ownership (T.C.O.) in the industry. In many cases, our solutions have either helped pay for the solution or created ongoing savings. Whether you need a single solution like a new VoIP phone system or an entire technology overhaul , we’ll recommend the right solution to achieve the desired outcome. Our project team will provide a total turn-key solution with ongoing support, ensuring everyone is fully comfortable using your selected technology system. "The backend software has made management easy, and the phone system directory has been especially helpful to the district. The implementation of a ShoreTel system has had the most impact on communications between parents and teachers," Ricart said. "Parents are now able to leave messages for teachers on their mailboxes. Staff members are able to access their voicemail even from outside the district and receive email notifications of new voicemails. We believe in ShoreTel's 'brilliantly simple' solutions, and so does the Ridgewood district." Adaptation of the new phone system for staff has been very easy, according to Ricart. "They love it," she said.